Starlight Radio Theatre- Let there be Love! Do you love the theatre? 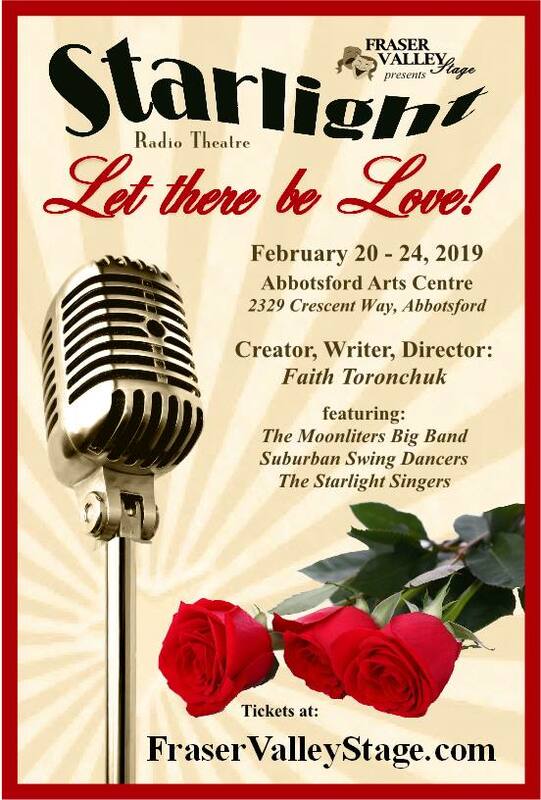 Fraser Valley Stage is bringing you Starlight Radio Theatre- Let there be Love! featuring: The Moonliters Big Band, Suburban Swing Dancers and The Starlight Singers. This production takes place at the Abbotsford Arts Centre from February 20th- 24th. You don’t want to miss this show!